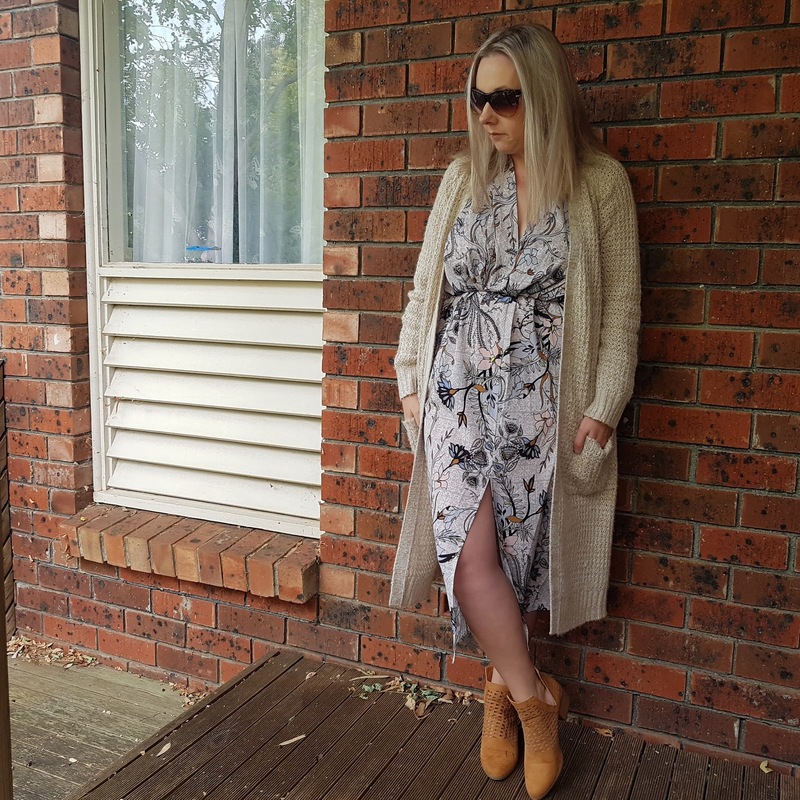 Late last year, I jumped on a blogger bandwagon (despite my own advice) and ordered my first dress from a popular online boutique during a crazy sale. Pleased with the money I'd saved for what appeared to be a really pretty item, I sat back and eagerly awaited its arrival. When it arrived, I sent a few pics to various people, asking what I already knew - is this too much dress for me? Spoiler alert: yes. Excuse sad face. I need to remember that as much as I love them, long sleeves are generally designed for people with regular length arms and I don't have those, I have short arms to go with my short body. This often results in bunching or over-wrist flapping which drives me nuts. I checked the returns policy and, like many of these smaller online boutiques, unfortunately it did not apply to sale items. Disappointing. So rather than lose out, I set about trying to make the situation work for me. I experimented with rolling the sleeves until I hit upon the genius solution of tucking them right into the dress itself. Being split sleeves from the shoulder, this worked and created a sleeveless top which I further customised by pulling in to show even more shoulder. I then rolled the waist up slightly to take advantage of the front split. The combined effect of more skin and less dress made it much more wearable for my frame and saved it from the donate pile. I also added bolder shoes so my feet didn't disappear. For a different look, I just added a coatigan to break up all dat dress. Belt it, belt it, belt it. Or if it has a belt, unbelt it. Change it. Try a sash. See what happens. Roll the sleeves. I have kept mine up with hidden elastic bands before. Emphasis on the hidden. Try layering. A sleeveless blazer or cropped jacket over the top can hide a multitude of sins and add shape. Or try a tee, tank or collared shirt underneath a sleeveless number. If you like the top half, wear a skirt over it. If you like the bottom half, wear a top over it. Use a dress clip to create shape and add interest. If you can pull it off, try the knicker tuck. I know people who are skilled at this, however I'm likely to be told discreetly by well-meaning friends that I have left myself tucked in after a toilet visit. Try back-to-front! Just make sure there aren't any tags poking out. Of course, if you can be bothered putting the effort / money in, take it to a tailor or an obliging friend or relative with skills to see what could be done. How's the length? Would it look better taken up or let down? Does it actually fit properly? Perhaps taking in or letting out would help. Change the neckline, shorten the sleeves, add darts or pleats or whatever. 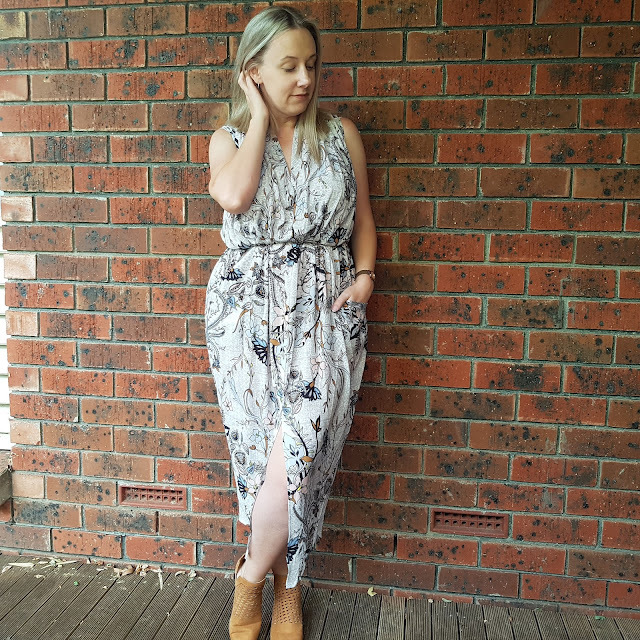 Have you ever rescued an item of clothing you thought had no future with you?